Increasingly, corporations and businesses are recognizing the value of corporate social responsibility programs in staff recruitment and retention. Partnering with Habitat is an excellent way to promote your corporate social responsibility goals while making a lasting impact on the community. Through myriad ways, we offer opportunities for corporate supporters to help build safe, affordable homes and strengthen communities. Every donation counts. Regular employee donations enable Habitat to build strength, stability and self-reliance through shelter. Another way to give back to the community is for employees to join a one-day Habitat build. Contact us for more details. We welcome gifts-in-kind from corporations who wish to donate their goods and services. Mentoring youth is essential to create a better world. Donate your time to support Habitat Japan’s campus chapters. Your donation helps Habitat to build strength, stability and self-reliance through shelter in partnership with families around the world. Designated donations are always appreciated. Habitat provides updates on the designated project on a regular basis. 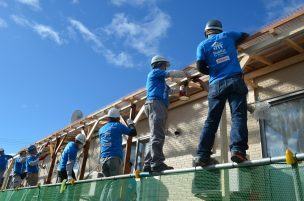 As a long-term global partner of Habitat for Humanity, Nissan sponsors Habitat projects around the world and its employees, dealers and customers volunteer on builds. Within Japan, Nissan sponsored Habitat’s Tohoku Disaster Response program and the employees donated their times to volunteer in the field. At the time of the Kumamoto Earthquake 2016, Nissan lent their electronic vehicle in the disaster field free of charge. Goldman Sachs Japan Co,. 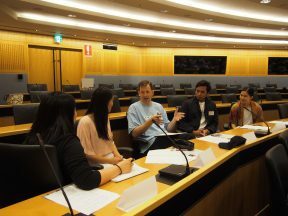 Ltd.
Goldman Sachs, Habitat for Humanity Japan’s long-term supporter, assisted the youth initiative to cultivate young leaders. With their support, Habitat organizes an annual joint workshop and the employees mentor youth on how to achieve their goals of raising funds and awareness and to take concrete actions. In addition to funding Habitat’s Tohoku Disaster Response program through Hilti Foundation, Hilti Japan donated electronic power tools. 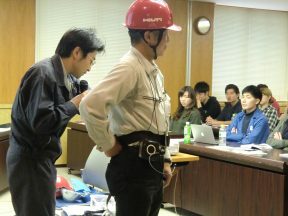 Hilti Japan also supports Habitat’s volunteer team leader training and the employees teach about safety issues to the leaders in the field. Your financial support will help families create safe and secure places to grow, be healthy and thrive. With a little help, we all have the potential to stand on our own. Copyrigtht for Humanity Japan All Right's Reserved.